Congratulations are in order for those being called in October! 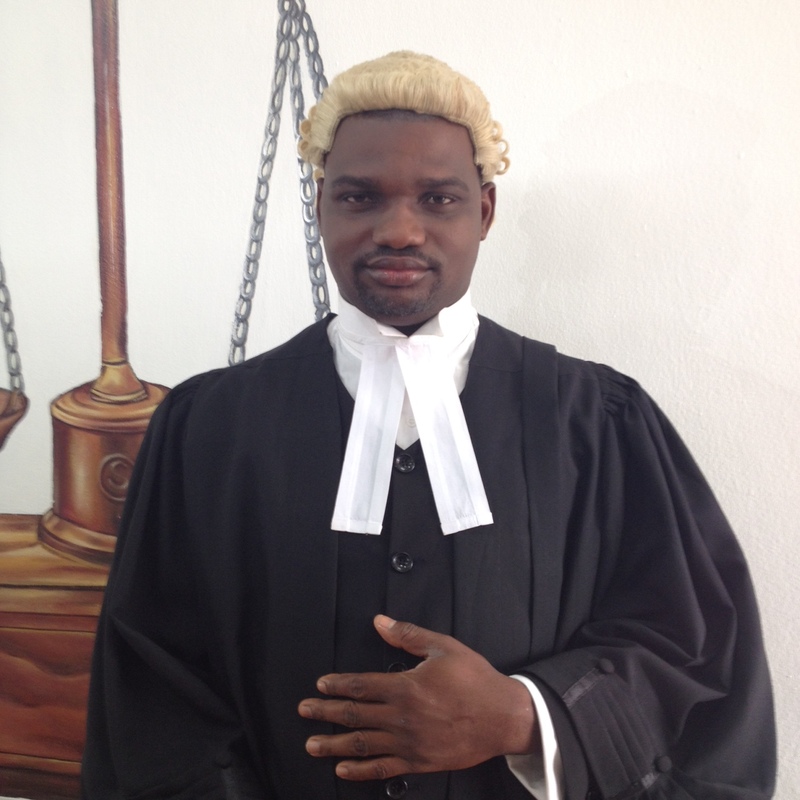 You went through the fire and came out a Barrister and Solicitor of the Federal Republic of Nigeria. Take a bow…You are cool! So your call to bar is approaching. 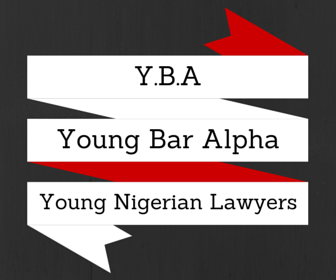 You will have your clearance and your screening and then Call to bar day comes! As exciting as it sounds,the NLS will try to stress you out and because we don’t want you to face what we did on that day we have put together some useful tips to get you ready for your big day! You are required to wear a black dress that is at least a ¾ arm length (no cleavage) or a Skirt Suit with the same length you have been told from the beginning of law school: below the knee! They WILL send you back and even if they don’t what is the point of having to beg those ladies outside to please let you in. I would advice you wear a simple skirt suit just to save the hassle. The skirt suit/dress shouldn’t have any embellishments, “shakara” etc. No sequins, flashy prints, etc. These women are out for blood, try and obtain a simple black skirt suit or dress. If you are wearing a skirt suit you are going to need a white camisole. You will be informed to tuck your collarette into the camisole then button up the jacket. Please stick to simple jewelry. You don’t want to have to run to your car or find somewhere to drop those nice earrings you bought for the occasion. Simple stud earrings will do. These women vary from year to year, I remember them telling me take off a bangle I had on…really!? Wear Simple black court shoes or flats, medium heeled, not suede. For some reason they hate suede shoes! If you are wearing heels I would advice you keep a pair of flats somewhere. 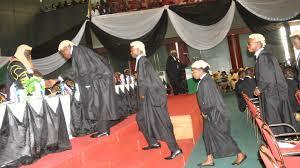 Between standing for almost the whole of the call to the dinner then you having to go to the Supreme Court, you are going to need flats! You are not allowed to carry a bag into the hall. This should be number one: Natural hair only!, no extensions, weaves, etc. Pack your hair nicely. You are required to wear a plain black suit NOT a Barristers jacket. The shirt you wear with the suit has to be a plain white and stripeless tunic shirt. What you are wearing: A Black Suit with a white tunic shirt, your Wig and Gown, the Collar, Bib & Stud. Come early so you can take as much pictures as you want. Don’t forget your NLS ID card! In all, enjoy this day, you will look back at it and again CONGRATULATIONS! 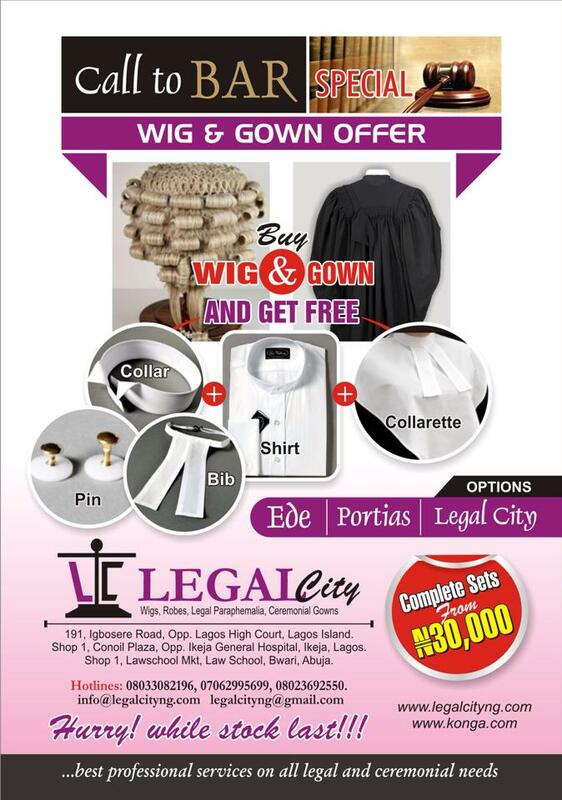 PS: Legal City is offering you amazing deals on the best brands: EDE, LEGAL CITY& PORTIAS all at affordable prices. 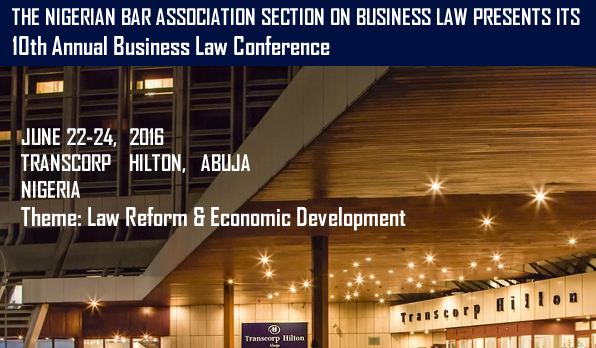 Are you growing in your law firm?